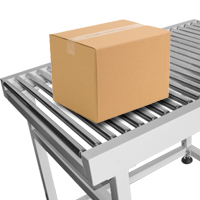 Conveyors are at the very essence of material handling. 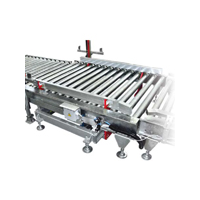 A high-performance conveyor system is an essential piece of equipment for many industries, including food and beverage, building materials, general manufacturing, parts and machinery manufacturing, food services, pharmaceutical and nutraceutical. 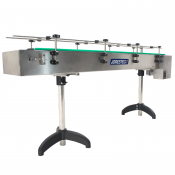 JORESTECH® is a trusted name in material handling, and our JORESTECH® conveyors feature superior design and construction for high-volume industrial environments. 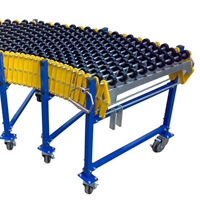 We offer a wide selection of gravity conveyors, motorized conveyors, conveyor tables, elevators, accumulation tables and automated conveyor systems for your manufacturing and processing requirements. 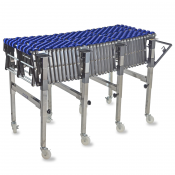 Non-powered gravity wheel and gravity roller conveyors are easy to transport, install and use. 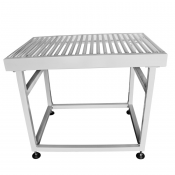 They have features such as adjustable height, heavy duty casters with brakes, and the ability to shape into a curve. 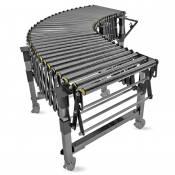 These types of conveyors are commonly used for package sorting, assembly, or truck off-loading operations. 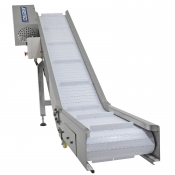 Choose from gravity roller to gravity wheel conveyors. 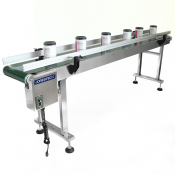 Our motorized belt-driven conveyors are also easy to set up and use, and you can adjust the height and regulate the speed. 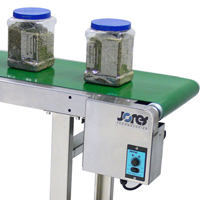 These machines feature heavy duty rubber and stainless steel construction, and they can be used with many kinds of containers such as bottles, bags, and smaller boxes. 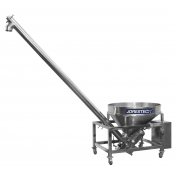 Bucket elevators and auger elevators, also made from extremely durable stainless steel, can be used for bulk quantities of a powder substance, helping to automate and streamline filling processes. 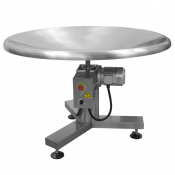 Our stainless steel accumulating rotary tables provide reliable service in food processing operations where there are stringent sanitation regulations. 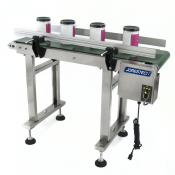 You'll also discover combination conveyors and accumulation roller tables that are highly recommended for use with our shrink tunnels. 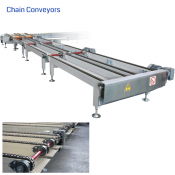 If you're looking for a heavy-duty chain conveyor dedicated system, you'll find that here as well. For more than 70 years, Technopack Corporation has been the leading expert in material handling and packaging machinery. 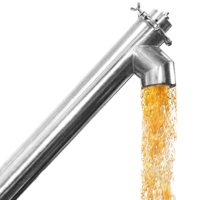 We provide outstanding selection, affordable pricing, and the best customer support in the industry.